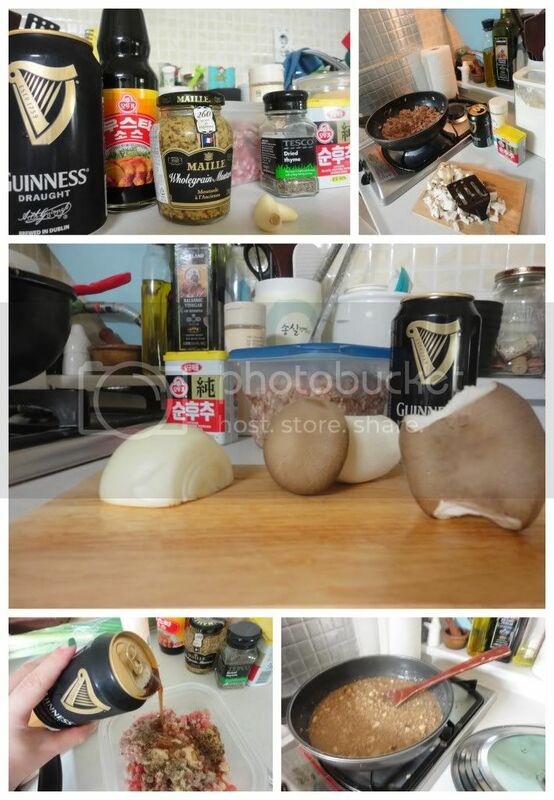 Having so thoroughly enjoyed a potluck centered on Guinness last year for St. Patrick's Day, Mike and Melissa were ready to host yet another potluck which would encourage guests to bring their choice of a dish, preferably with Guinness as one of the ingredients. Although not everyone was up to the challenge, the dining room table held a bountiful feast with lots of meat and potatoes, equally appropriate for the given holiday. 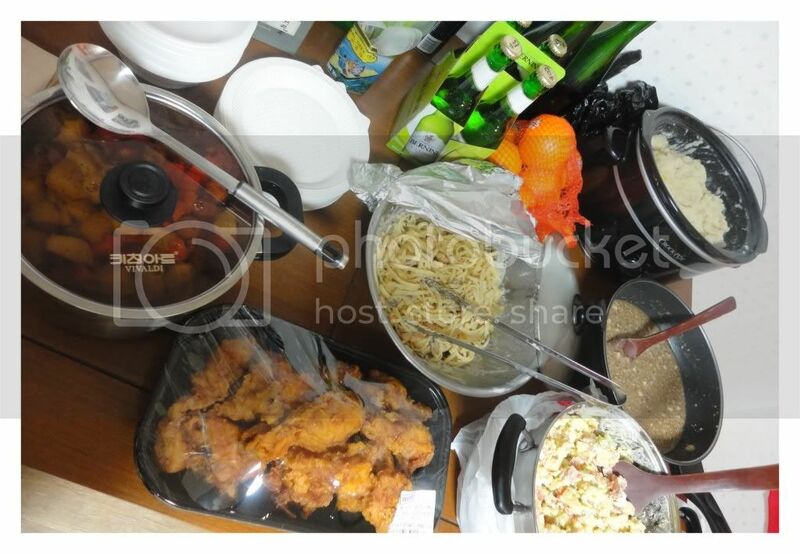 the assortment below of fried chicken, beer sausages and potatoes, potato salad, Guinness and shrimp pasta, oranges, drinks and fantastic cupcakes with cream cheese frosting to top it all off.